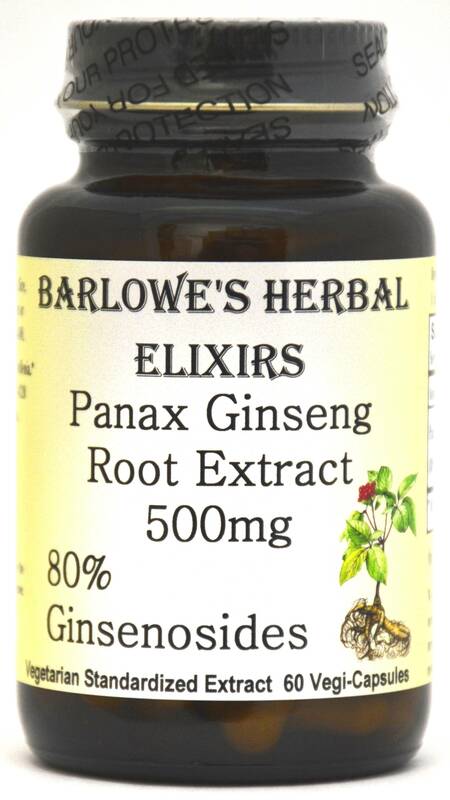 Barlowe's Herbal Elixirs is proud to offer this very powerful, high quality Korean (Panax) Ginseng Root Extract which has been standardized to 80% Ginsenosides! Unlike American Ginseng and Siberian Ginseng, Panax Ginseng ("renshen" - literally meaning "man root") has been a part of Chinese medicine for thousands of years. Bottled in Glass! No Stearates! No Fillers! No Junk! 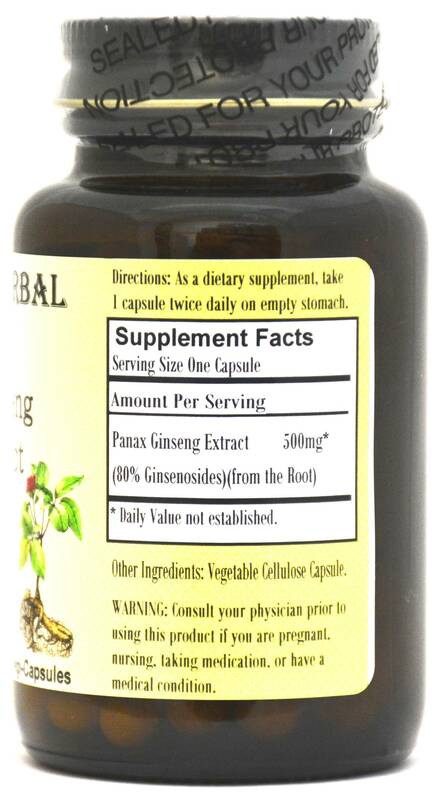 Barlowe's Herbal Elixirs is proud to offer this very powerful, high quality Korean (Panax) Ginseng Root Extract which has been standardized to 80% Ginsenosides! 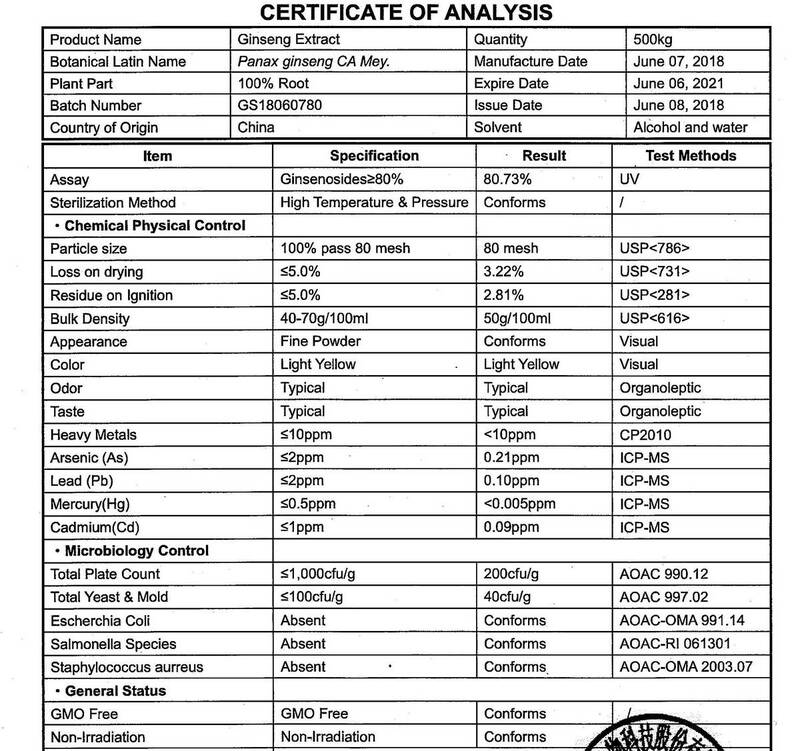 The Ginseng Certificate of Analysis (COA) for this particular batch is shown above. Unlike American Ginseng and Siberian Ginseng, Panax Ginseng ("renshen" - literally meaning "man root") has been a part of Chinese Medicine for thousands of years. Bottled in Glass! No Stearates! No Fillers! No Junk! Caution: Barlowe's Korean Ginseng Extract is generally safe, but this is a potent extract and it should be utilized with care. This product is for dietary use. If side-effects occur, discontinue use immediately! The above statements have not been evaluated by the Food and Drug Administration (FDA). This product is not intended to diagnose, treat, cure, or prevent any disease. Directions For Use: Take one capsule twice a day with or without food. Results and usage amounts may vary based on body type and weight.